You know what we love? Prints that go pow! 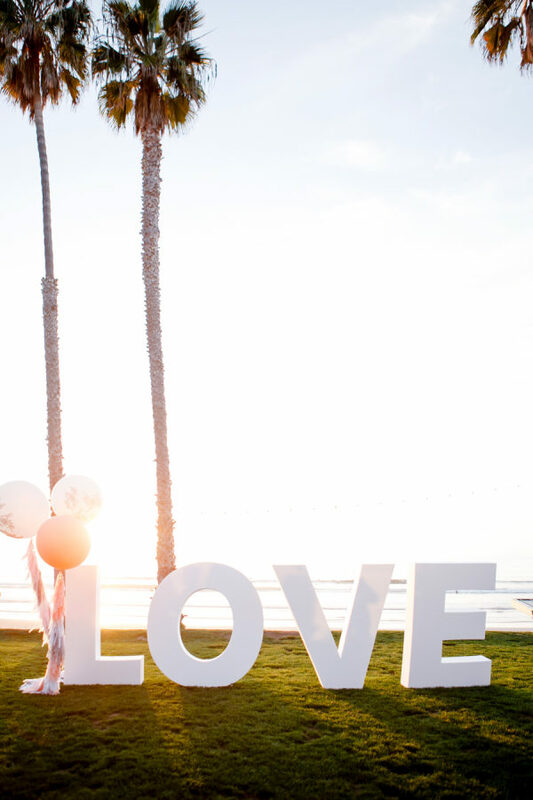 And this wedding photographed by Ashlee Raubach is ripe with them. 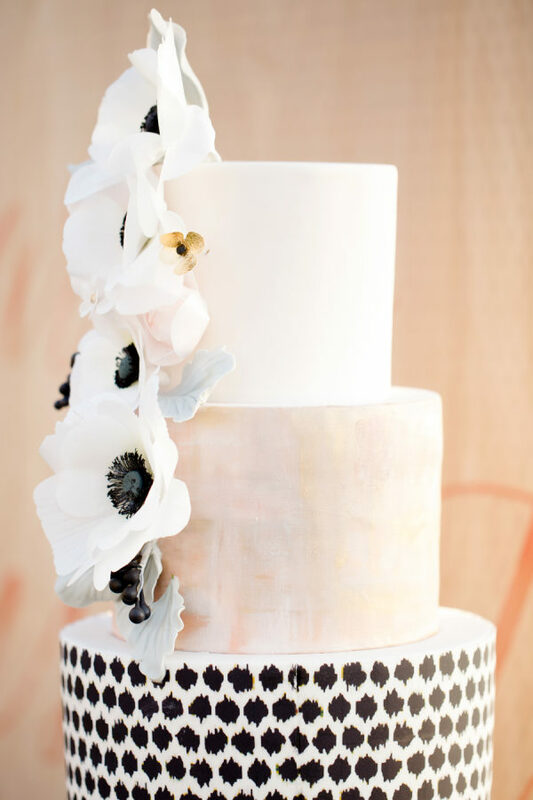 A stunning black, white and blush colored palette, modern details crafted by Amorology, all white flowers by Oak And The Owl and lots and lots of cake – as in a whole beautiful table of them by Hey There Cupcake. Can you say perfection? See even more right here! From Emily, The Bride… I would have to say that the entire day from start to finish was my oldest/biggest dream that I have ever actually lived out. It would not have all been possible without the love and support of my family, friends and most importantly this husband of mine that I get to live my “happily ever after” with. He truly is “MY CONSTANT” and I am so grateful he waited ever so patiently for me. Timing is everything and God truly knows what he is doing when he is doing it. I am grateful that I trusted in him to get me to the person I have been searching my whole life for. I am so happy to have found my other half or “puzzle piece”, as we call each other. 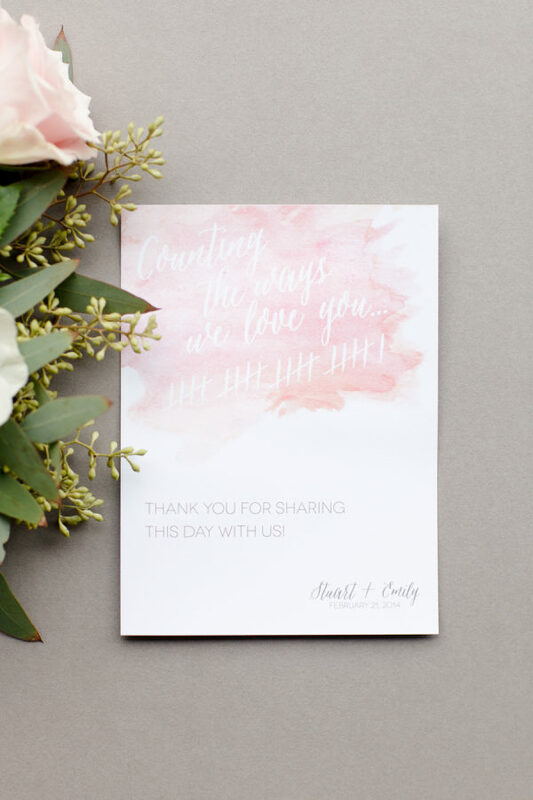 As for any inspiration behind this magical day… I have been following Amorology weddings for quite some time now and have been impressed with the beautifully, personal, passionate work they put into each particular element of the weddings they do. When I got engaged one of the first things I did was set up an appointment with Heather at Amorology and never looked back. 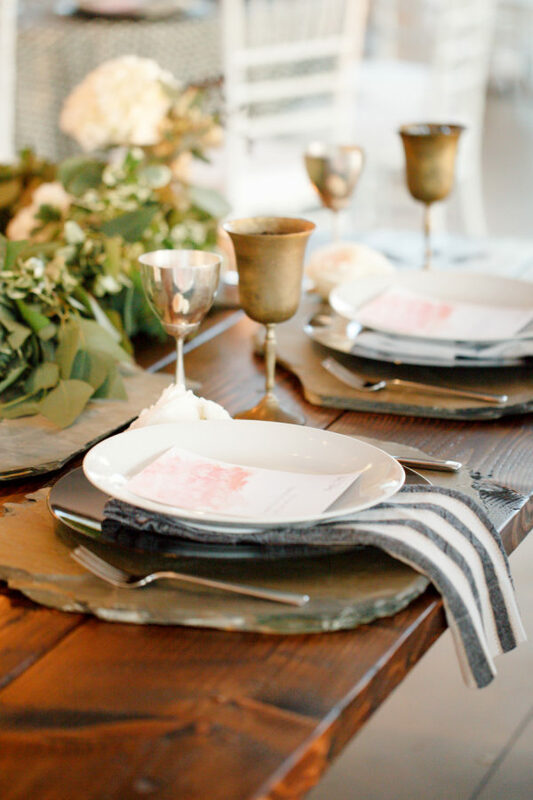 The masculine yet famine feel and colors of our wedding have always been my dream. I wanted something that was timeless and classic yet patterned and fun. Having it by the beach, decorated in patterns of black and white, slate and a hint of blush, and serving delicious mexican food (my favorite) all couldn’t have expressed me better in one place at one time. Each element was perfect. The weather couldn’t have been better and the sunset was to die for that night. I am truly appreciative of all the individual talent making up our day to be a true, living, dream!